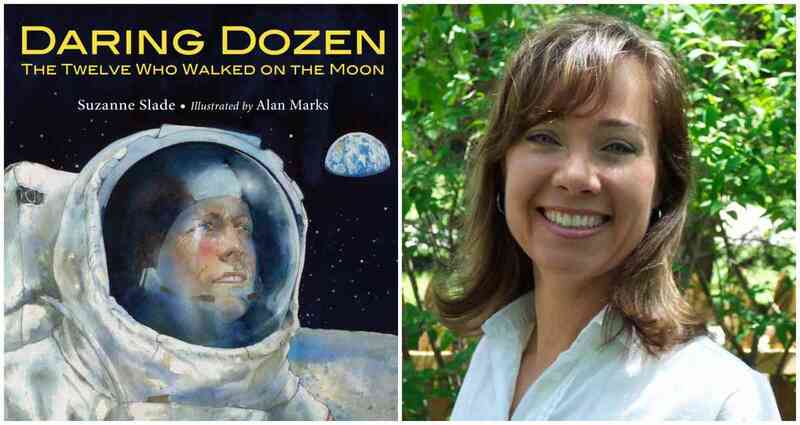 Suzanne Slade will read from and discuss Daring Dozen: The Twelve Who Walked on the Moon, illustrated by Alan Marks. Young space enthusiasts and future astronauts welcome! Slade will be sharing free "Space Selfies" and a "To the Moon" quiz. Come and participate for a chance to win a bookmark with an actual moon rock. A Q&A and signing will follow the event. About the author: Suzanne Slade is the award-winning author of more than one hundred books for children. A mechanical engineer by degree, she often writes about science and space. Some recent titles include: Countdown: 2979 Days to the Moon, Astronaut Annie (will be read by an astronaut on the Space Station), and A Computer Called Katherine: How Katherine Johnson Helped Put America on the Moon. A gorgeous introduction to the twelve brave men who have left footprints on the moon, just in time to celebrate the fiftieth anniversary of the first lunar landing.